The mountains of Sierra Nevada National Park are in Andalucia, in southern Spain. 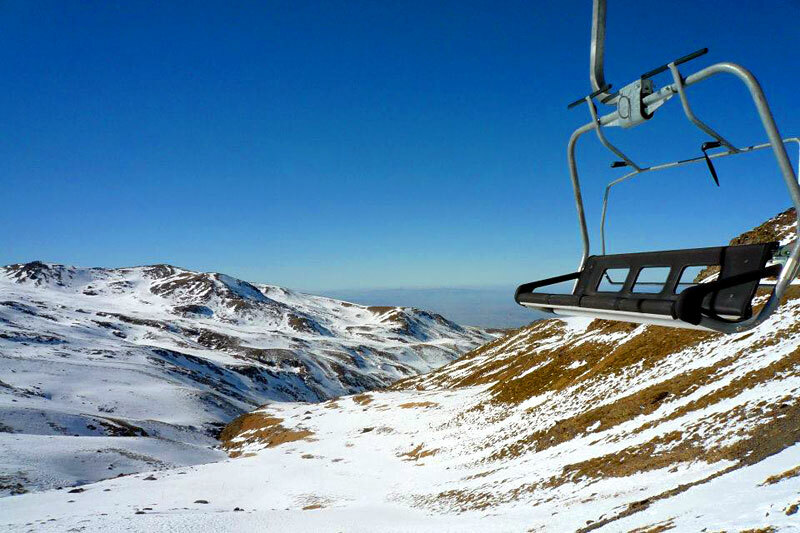 The ski resort is situated on the peak of Veleta, just a 45-minute drive (32km) from buzzy Granada, which has direct flights to the UK. Don’t expect the mega resorts of the Alps: this is a far more intimate ski experience for mixed abilities. There are 124 pistes in total – 19 greens, 41 blues, 50 reds, 7 blacks, and 7 snowparks. Below these is a small but charming ski village with shops, hotels and cafes that lure you to lounge in a deckchair and sip a cool Cerveza Alhambra in the winter sunshine. If you’re bringing the kids, there’s also a recreation zone with tobogganing, ski-biking, mini-snowboarding and roller-sledding, as well as a childcare centre on the slopes. 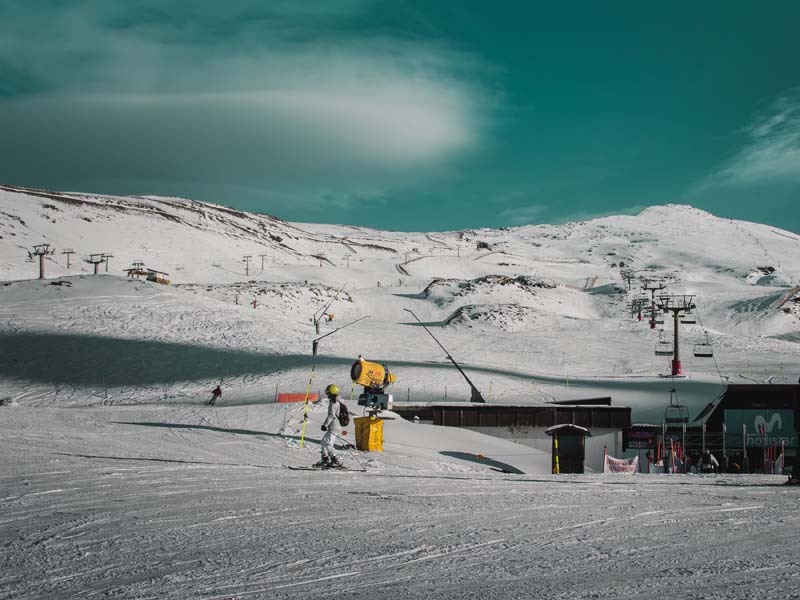 This is the southernmost ski resort in Europe, and it’s also extremely high (3,300m), so snowfall and sunshine go pretty much hand in hand: ideal! Being so high up comes with other advantages, too: the resort is above the tree line so the slopes are wide – better for beginners trying to master snowplough turns, but also perfect for daredevil off-piste skiers. What’s more, you won’t find busloads of tourists, but you will find plenty of friendly locals. Best of all, the ski passes here are far cheaper than they are in the Alps. Perfect, when should I go? The Sierra Nevada season is long, roughly from late November to late April. 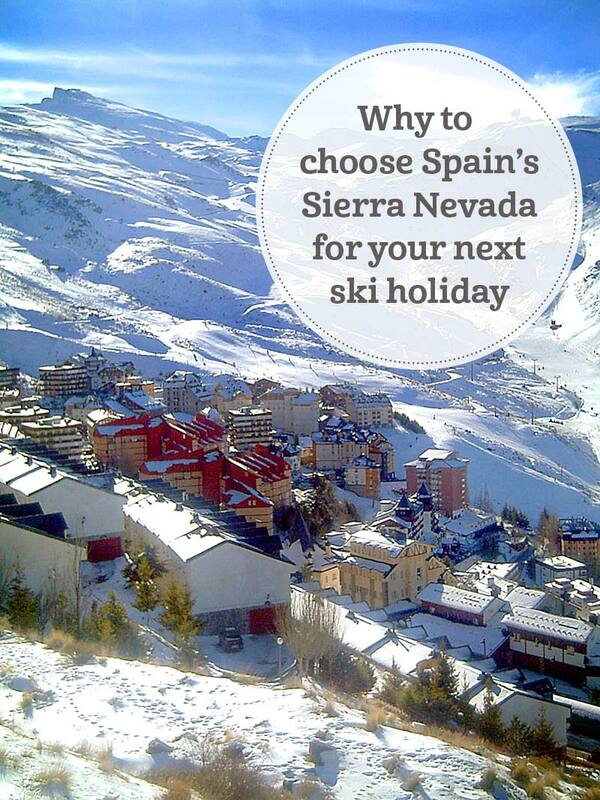 We recommend booking after Christmas and New Year for the best chance of good snow. You bet, but not in the traditional way. 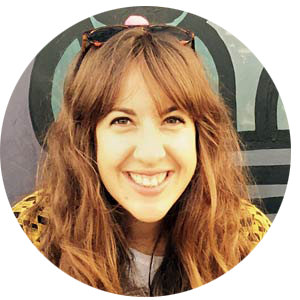 Forget overpriced drinks in the ski village and head down to Granada instead; it has a great nightlife and is about 15 degrees warmer! 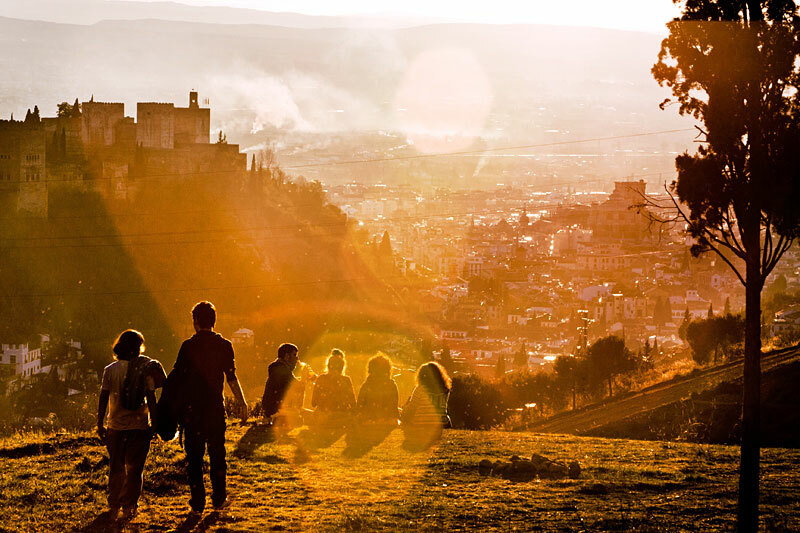 Dine in the new town’s trendy tapas joints and boho cafes then head to the Albaicín for quirky bars and a flamenco show. Forget the ski village, it’s pricey. 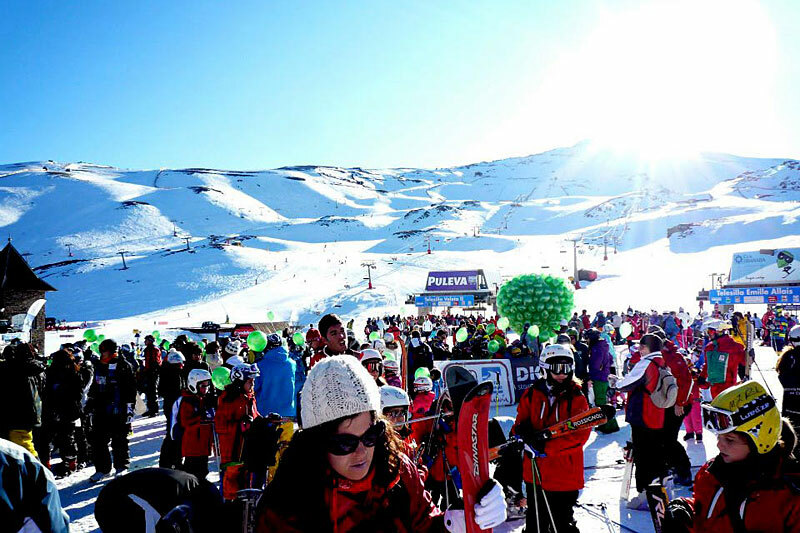 If you want to be close to the slopes, La Almunia del Valle should be your first choice. It’s a stylish mountain hideaway with just 15 rooms and incredible views, and just 15 minutes’ drive from Granada. The hotel is closed in January, but reopens on 9 February with plenty of availability. You’ll like the sensible prices. Where should I stay for skiing and sightseeing? 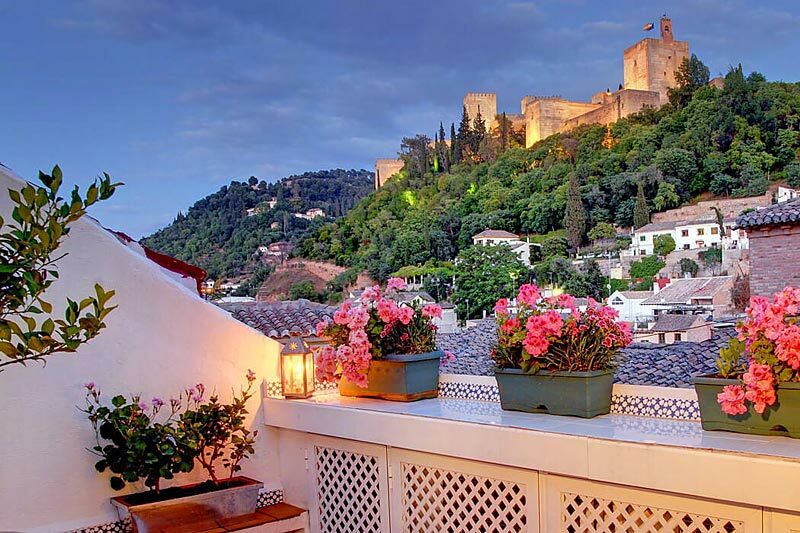 Base yourself in Granada. 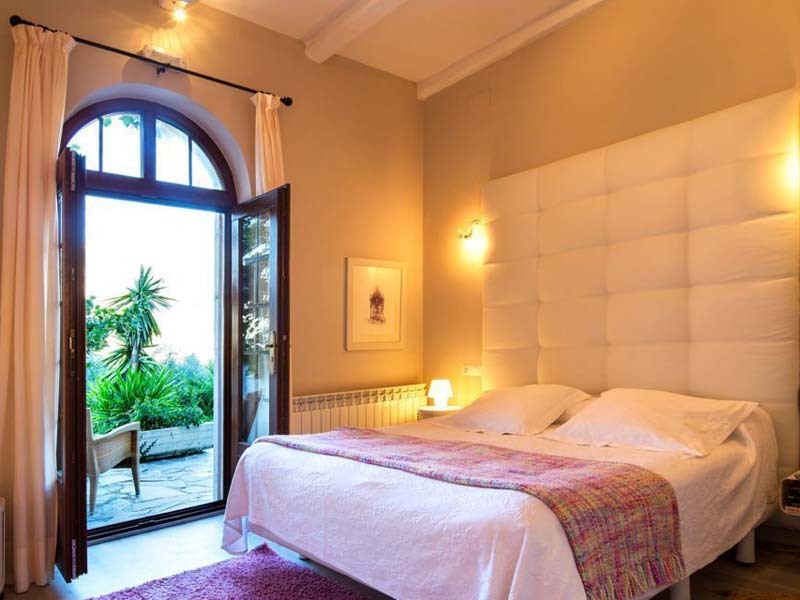 An affordable option is the Moorish elegance of Casa Morisca. 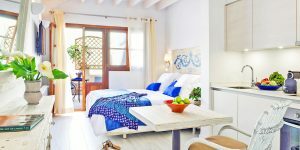 The best self-catering option is Muralla Ziri Apartments, which is superb for families. 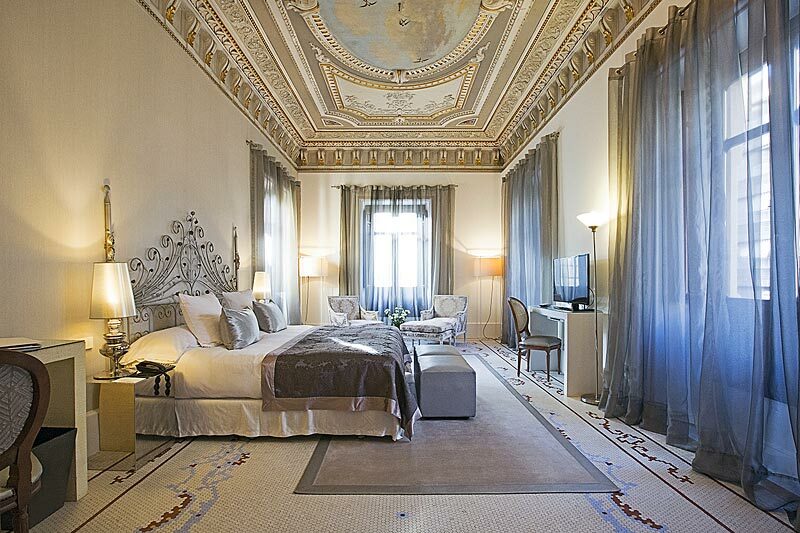 If you want to splurge, stay at the former mansion Hospes Palacio de los Patos. 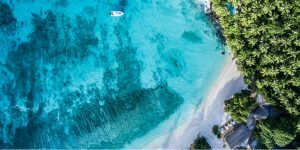 What about a nice beach? You’re in luck. This is one of very few places in the world where you can go to the beach and ski down a mountain on the same day! 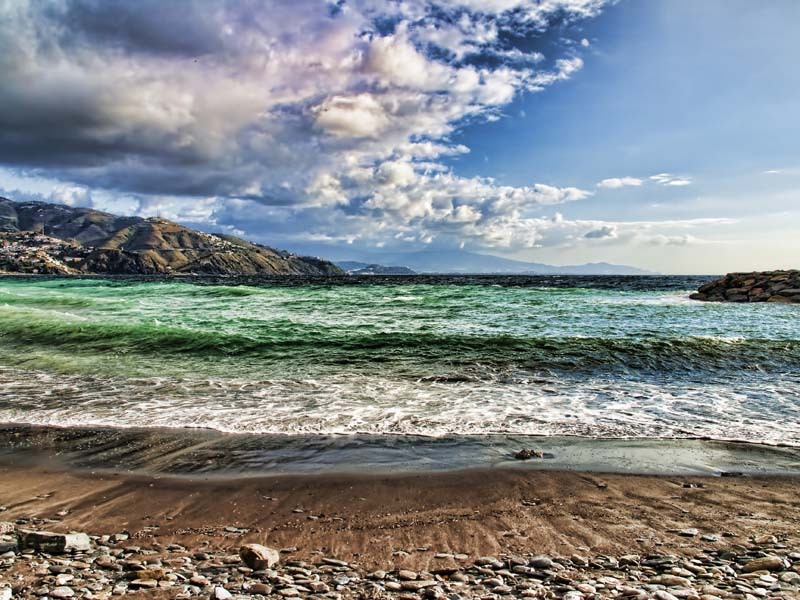 The beaches in Motril are some of the closest, with long stretches of dark sand and shimmering azure waters. It’s probably too cold for swimming over the winter, but it’s pleasant enough for a beach walk. Back in Granada, soothe your tired legs with a soak at one of the historic hammams. Avoid weekends – the slopes get busy. Take a day off from skiing and go exploring instead. 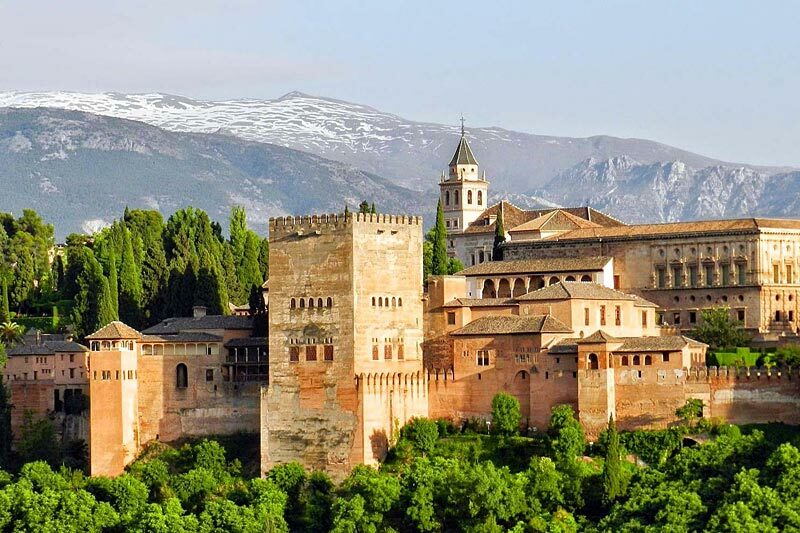 Granada’s Alhambra Palace is a must-see. Its 13th-century grandeur has been perfectly preserved, with halls flaunting intricate carvings, patterned mosaics and perfectly symmetrical arches that lead to manicured courtyards.